Today’s manual transmission is an evolution of a design by French inventors Louis-Rene Panhard and Emile Levassor in 1894. Compared to the automatic transmission the manual transmission is smaller, lighter weight, and generally requires less service than the automatic transmission. It doesn’t generate the heat of the torque converter in an automatic transmission which causes ATF fluid to degrade. Traditionally, the manual transmission was able to deliver better gas mileage than the automatic due to more direct connection between the engine and wheels. However modern automatic transmissions with more gear ratios and computer controlled operation have mostly eliminated that advantage. 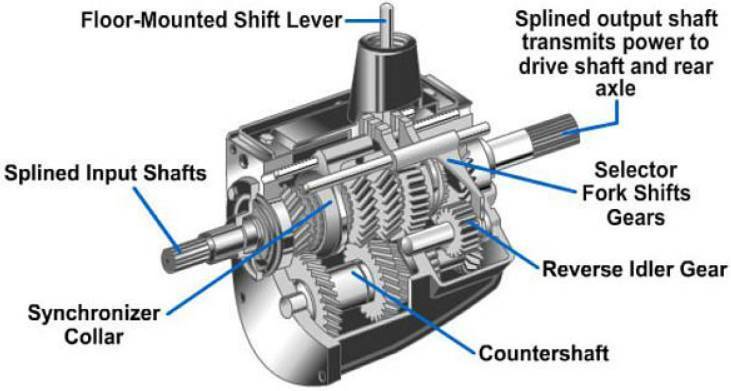 The manual transmission begins with a clutch operated by a foot pedal which activates a throw out bearing which separates the plate of the clutch from the flywheel, relieving pressure on the gears in the transmission allowing for a shifting of pairs of gears to link the input shaft to the output shaft with different ratios. When the pedal is released, the throw out bearing is deactivated and the clutch disk is again pressed against the flywheel. This transfers the engine torque thru the drive shaft to the differential and then thru the axles to the wheels. Early transmissions were unsynchronized which required the driver to press the clutch and let the vehicle decelerate until the next gear’s speed matched the vehicle speed. In 1952, Porsche introduced the cone type synchronizer which uses friction as the gears are being shifted to make the gear speeds match and allow shifting without grinding. 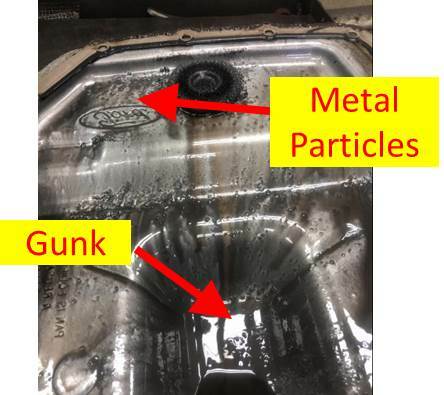 Obviously friction of metal parts leads to contaminants in the transmission fluid. Even with a skilled driver, the process of getting a several thousand pound vehicle moving requires some slipping of the clutch which causes particles to come off into the transmission fluid. With an unskilled driver or one that thinks they can “speed shift” without depressing the clutch, even more metal fragments break off into the transmission fluid. Bottom line: Regular replacement of transmission fluid in a manual transmission is essential to long operation. If you live in a hilly area or drive in frequent stop-and-go traffic, the clutch may wear more rapidly than normal. (Here, the automatic transmission has an advantage). In normal city driving, a clutch may last 30,000 to 50,000 miles. If many of your miles are on long trips, it may last over 100,000 miles. If you drive with your foot resting on the clutch pedal (A.K.A. “riding the clutch”), your clutch may not make it to 30,000 miles. Just as important as replacing the fluid in the manual transmission is ensuring that the clutch pedal is correctly adjusted. 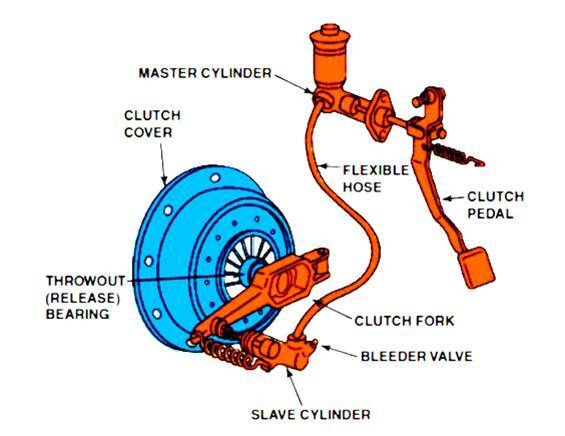 It should activate the throw out bearing mid-way thru the travel of the clutch pedal. If it activates the throw out bearing at the bottom of the range of travel, it may not fully disengage the transmission causing wear and damage to gears and synchronizers. If it activates near the top of the range of pedal travel, it may not fully engage the transmission causing the clutch to slip and wear out just as if you were “riding the clutch”. We can provide routine maintenance including fluid replacement and adjustment of clutch all the way to a complete rebuild of a transmission to restore it to “like-new” performance. We have ASE certified experts, each with over 30 years of experience in maintaining, repairing and rebuilding transmissions.